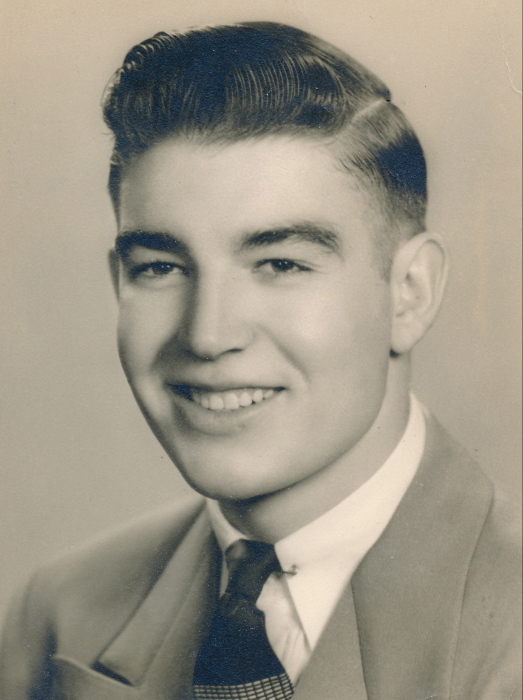 John E. Gast, 87, of Sandusky, passed away early Saturday morning, July 7, 2018, at Firelands Regional Medical Center, Main Campus, Sandusky after a brief illness. Born on March 22, 1931, in Castalia, OH the son of Otto Frederick and Lucille (Geiger) Gast. He was a 1950 graduate of Margaretta High School. John was very proud of this accomplishment, since he was the only child from his family to graduate. 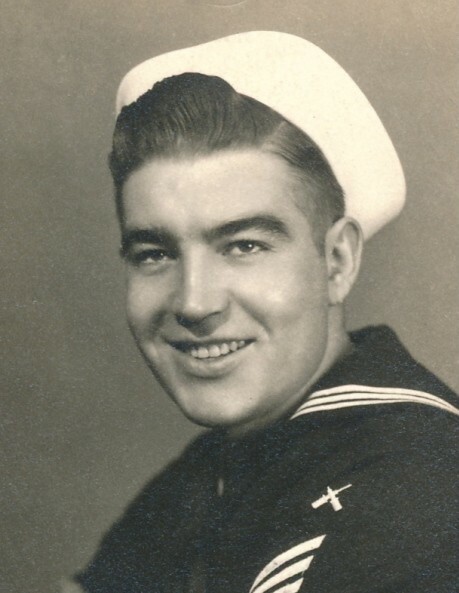 He was a veteran, having served honorably in the U.S. Navy, aboard the Naval Vessel USS Donner, during the Korean Conflict, from 1951-1955. Over the years, he worked at the Philco Co., in Sandusky, then at Coca-Cola, in Sandusky and later for the Sandusky Ford Motor Company for 32 years, retiring in 1988. He loved his country and especially thanking his fellow service men and women for their service to our great country. John was an avid Ohio State fan and followed the Cleveland Indians and the Browns. He enjoyed watching and hearing about his grandkids playing sports and involvement in school plays and musicals. John enjoyed playing cards, card games, dancing and fishing. He will be remembered for his unselfishness for how he donated nearly 10 gallons of his rare blood type, AB-, to the American Red Cross to help others in need. John was a member of St. Paul Lutheran Church, the American Legion Post # 83 where he had served for over 30 years on the Color Guard and a life member of the VFW Post # 2529. He is survived by his spouse of nearly 65 years, Patricia A. "Pat" (Moore) Gast, whom he married on September 12, 1953; two sons, Michael (special friend, Patti Keller) Gast of Sandusky and Richard "Rick" (Barbara) Gast of Castalia; and a daughter, Sheryl "Sheri" (her late husband, Alan) Gast-Graham of Avon; four grandchildren, Kirsten (Joe) Bennett, Colton Gast, Kendra Gast and Macie Graham; three sisters, Mary Lou (her late husband, Thomas) Baker, Irma Nimrichter and Lilah (Irvin) Garlock; and several nieces and nephews. John was preceded in death by his parents; his brothers and sister-in-laws, Alvin (Gladys Hayes) Gast, Edward (Genevieve Schoepflin Gast, George Gast, Junior (Iretta Lilje) Gast and Leonard Gast; his sisters and brother-in-laws, Eileen (John) Reedy, Annetta (Myron) Youngless, Grace Gast, and Janis (Leroy) Krugh; and other siblings in infancy. Visitation will be held on Tuesday, July 10, 2018, from 5-7 pm at the David F. Koch Funeral and Cremation Services, 520 Columbus Avenue, Sandusky. Funeral services will be held Wednesday morning, July 11, 2018, at 10:30 am at the funeral home. Rev. Philip A. Gardner officiating. Entombment will be in the Meadow Green Memorial Park Mausoleum, in Huron. Military honors will be conducted by the American Legion Post # 83 Color Guard. The family would like to thank the Perkins Township EMS and the Police Department for all of their help in their time of need and the O.V.H. VA Clinic for their special care for John. The family suggests that memorial contributions may be made in his memory to St. Paul Lutheran Church, 2211 Mills Street, Sandusky, OH 44870 or to the Alzheimer's Association of Northwest Ohio, 2500 N. Reynolds Road, Toledo, OH 43615.